For all the breakthroughs in cancer care over the last few decades, sometimes the best treatment just doesn’t work. That’s what happened to Jude Cobler of Plano. He was just 6 years old — and he needed a bone marrow transplant. Finding the right match would be tough. With cancer, there are a lot of odds. Odds of chemotherapy working. Odds of complications. Odds of a full recovery. When Jude Cobler’s chemo didn’t work, his odds of survival dropped drastically. Jude was diagnosed with Acute Lymphoblastic Leukemia. Each year, about 2,500 kids are diagnosed with this type of leukemia. Jude, who had turned 6, would need a bone marrow transplant. The procedure is tricky – and dangerous. But before preparation can begin, you have to find the right bone marrow donor. Keith Cobler is white. His wife, Boots, is from the Philippines. Being a mixed-race couple posed a challenge. “Trying to find a match would be very difficult,” he said. There are around 16 million volunteer donors on the national Be The Match Registry. Of those, just 3 percent identify as mixed race. Athena Asklipiadis is the founder of Mixed Marrow, a nonprofit that works to recruit donors. She’s part Japanese, Italian, and Egyptian and Greek. For someone like Jude, it almost sounds like a lost cause. The patron saint of lost causes just happens to be St. Jude. The Coblers, whose Catholic faith runs deep, named their second son after him. There was one hope, though — Jude’s only brother, Joshua. Odds are one in four that a sibling will be a match. After a blood test, the boys’ mom, Boots, got the news. “I was like ‘Ahhhh!,’ yelling,” she recalls. “When we start out treating cancer in kids, the goal is cure,” says Jude Cobler’s doctor, Dr. Patrick Leavey, who’s with UT Southwestern Medical Center. “It … was our goal when Jude was diagnosed with his leukemia to cure him.” In this video, learn about the bone marrow transplant that saved Jude’s life. But finding a donor is just the first step. Next, doctors had to take Jude as close to death as possible. For Jude’s system to accept the foreign bone marrow, his body needed to essentially be a blank slate. Jude’s doctor, Patrick Leavey, says preparation involves full body radiation and mega doses of chemotherapy drugs. “Doses beyond which unless you were to receive a bone marrow as a rescue, you would not survive,” Leavey says. Jude began with radiation. Twice a day for four days, he was strapped to a bed that turned like a rotisserie to treat all sides of his body. And then he was given a batch of drugs so toxic his parents couldn’t touch him without gloves. Boots reads a journal entry from that time. Eventually, Jude was sent into a special bone marrow transplant unit, a place with strict isolation and specially-filtered rooms. Leavey says at this time, a patient is especially susceptible to getting sick. “Having destroyed the body’s immune system, now we can replace that with a new healthy bone marrow,” Leavey said. I was overjoyed. I wanted to be able to help my brother. Joshua Cobler, when he learned he would be a bone marrow match for his brother. 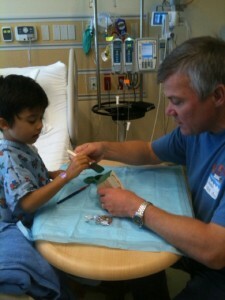 Two days before Christmas 2010, Joshua checked into Children’s Medical Center. He was whisked away on a gurney to donate his bone marrow. After a doctor drew out the bone marrow from two small incisions over Joshua’s hip bone, the bright red liquid was placed into a bag and fed into Jude through an IV. Joshua says it was painful, but not too bad. But the odyssey wasn’t over. Jude had survived aggressive chemotherapy and radiation. He had even beaten the odds and found a bone marrow match. 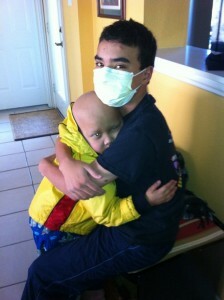 Next, he’d have to face the complications of cancer, which would alter his body — and his relationship with his brother. 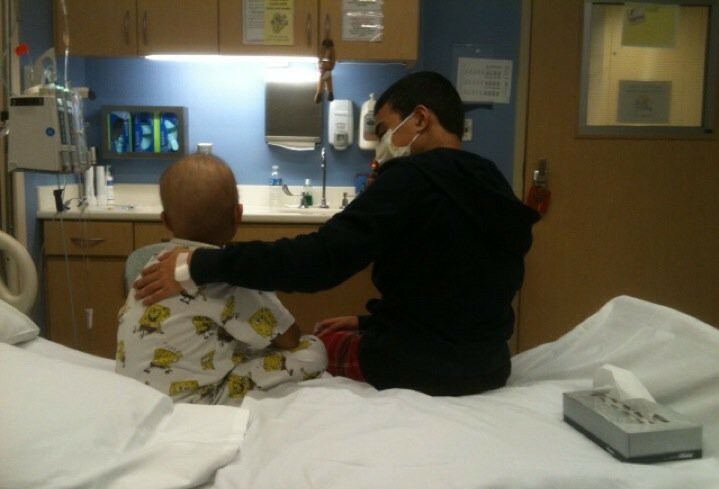 Joshua Cobler, reflecting on what his brother told him after he donated his bone marrow. Jude’s bone marrow transplant changed him physically. It changed him emotionally, too, by creating an unbreakable bond with his brother. Read Chapter 3 of Growing Up After Cancer. Cancer can take a toll on a kid’s physical health, but there are psychological effects, too. Many survivors experience anxiety, while some suffer from post-traumatic stress. 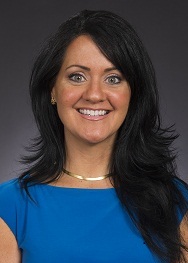 Dr. Shannon Poppito is a psycho-oncologist who works with patients who’ve recovered from cancer at Baylor’s Sammons Cancer Center. Poppito says children often experience cancer differently than adults and teens. For kids a half-century ago, a cancer diagnosis was usually a death sentence. 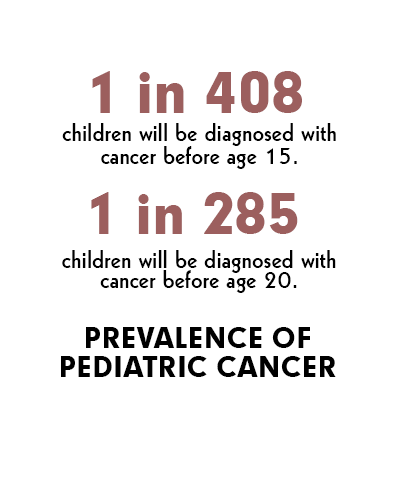 Today, eight of 10 children diagnosed with cancer will likely survive. Still, cancer can rob a kid of childhood. In Growing Up After Cancer, a KERA Breakthroughs series, follow the journey of one North Texas boy and his family. KERA's health, science and technology coverage is made possible in part by the Lyda Hill Foundation.